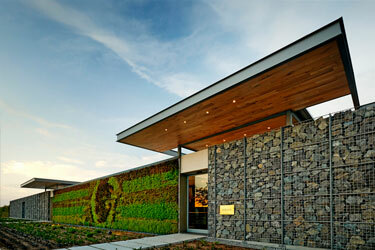 Set amongst 110 Hectares of meticulously farmed vineyards, indigenous gardens designed as a living tapestry, olive groves and grazing horses, Cavalli Estate is quickly becoming recognised for its exquisite views within its modern and luxurious context, commitment to sustainability and design excellence. 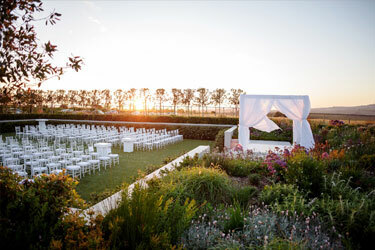 Located conveniently on the R44 highway nestled below the majestic Helderberg mountains, whether planning a wedding or corporate event, Cavalli Estate has been designed to be flexible enough to tailor itself to events of any scale or nature. 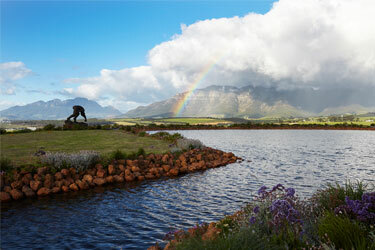 Cavalli Estate is a secure Estate with abundant parking and 24 hour manned and CCTV security. 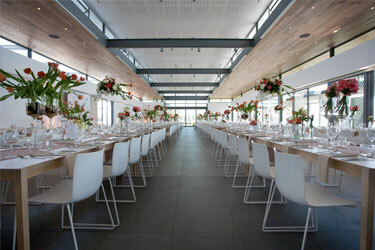 The​ function venue is ​characterized by its contemporary and neutral design, able to be adapted to the style of your event, with adequate space to seat 350 people ​or alternatively 600 people for a standing cocktail event. 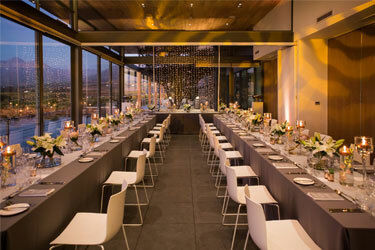 This intimate venue enjoys a unique setting, right on the water’s edge. 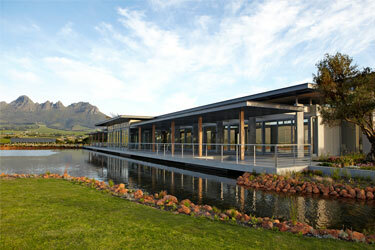 The glassed ​enclosure take full advantage of the stunning views, over the ​dam​ to the Helderberg Mountains​.​ ​The area accommodate​s​ 150 guests cinema style​ with the​ backdrop behind the ‘altar’ position ​being​ a 60 year old Fuschia Pink Pride of India tree that blooms abundantly over the summer season.This Conservatory space is perfect for up to 70 guest​s​ seated banqueting style to enjoy a private lunch or dinner.